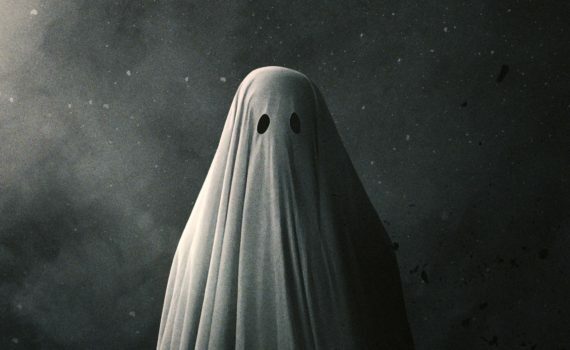 Lowery, Mara, & Affleck team up again for A Ghost Story, a film that reunites the trio after 2013’s Ain’t Them Bodies Saints. Lowery’s only other major film was 2016’s Pete’s Dragon, which I didn’t completely enjoy, but chalk that up to having to work within the constraints of Disney. When left to his own devices, this talented director brings original content and unusual mood, a combination that not everyone will fall in love with, but one that critics will find refreshingly abnormal, and hopefully audiences will appreciate as well. Lowery enjoys the slow burn, which is on complete display in this film, leaving us to fill in the gaps with our own minds and to find entertainment in the subtle moments rather than the blindingly obvious. A childless couple living in a rundown house in Texas debate moving, but are at odds when it comes to the final decision. He, a musician, feels a connection to the home, even though it admittedly makes strange sounds and isn’t about to be on the cover of Better Homes & Gardens. But moving becomes a moot point when he dies, and her life will have to go on without him, no matter the pain. He’s not completely gone, however, as his restless spirit remains in the form of a ghost under a sheet, to endlessly patrol the rooms of the house until what’s holding him back relinquishes its hold. We see time pass, new families move in, and we are also allowed to view the past, as we begin to understand the love the couple shared and how it can be so hard to let go. Lowery needs to make more movies, because he’s a master at combining the typical with the surreal, allowing both audiences and critics to enjoy his wonderful films. I say that about Stephen King, that you can read him on a surface level or you can dig deeper, it’s up to you, and that’s what Lowery is able to produce as well. There are some standard elements, it’s almost a haunted house story from a ghost’s point of view, but then there is so much more depth to the emotions and the metaphors, creating a story you could talk about for days. The one scene that gets the most attention is one in which Mara eats a pie, and deservedly so; it’s very uncomfortable, highly unique, and quite moving. For some, it might make or break the movie; for me I found it just another strong example of how Lowery can say so much without saying a word. He had great actors to aid him, the time flies by, and I was left with a lot of questions; that, in my book, is a success.